Aerosmith guitarist Joe Perry speaks on the development of Guitar Hero: Aerosmith and the artists besides his band that will have tracks included in the game. 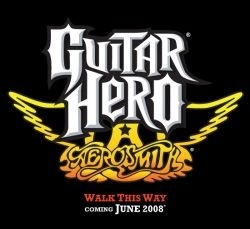 Activision's Guitar Hero: Aerosmith, due out in June, always intended on including music from "celebrated artists that the band has either performed with or has been inspired by in some way." A Game Informer interview (subscription required) with Aerosmith guitarist Joe Perry revealed just who these "celebrated artists" were. Songs Perry confirmed for the first band-centric Guitar Hero are Mott the Hoople's "All the Young Dudes", The Kinks' "All Day and All Night," Joan Jett's "Hate Myself for Loving You" and Cheap Trick's "Dream Police." Other names mentioned are Lenny Kravitz, The White Stripes and Deep Purple. Neversoft, the studio behind the series since Harmonix was acquired by MTV, is creating a full Aerosmith experience. They're taking steps to motion-capture the band mid-performance and recreate the high school where the group first performed.